The word “cancer” has become a household word, used by cancer centers, drug manufactures and the non-profit community in aggressive and extensive DTC marketing initiatives. But, historically, marketing cancer products directly to consumers rarely (if ever) happened; it was one of those areas that was deemed to be “pushing it too far.” What has contributed to this significant shift? And what role does DTC advertising truly play today? As the cancer conversation continues to grow across national television and other channels, we believe understanding this shift is imperative. As such, we initiated research to uncover insight into the impact and role of today’s DTC efforts in this once taboo category. Our work included a combination of quantitative and ethnographic research with cancer patients and their oncologists. 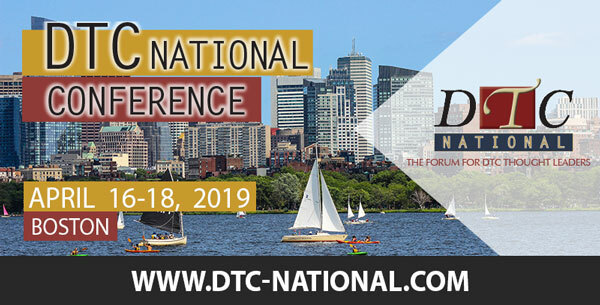 We recently had the privilege of presenting our findings to an audience of industry peers and colleagues at the 2018 DTC National Conference in Boston and, not surprisingly, our presentation hit a nerve. In fact, during the presentation, one audience member spoke out, sharing his experience with a stage 4 cancer diagnosis and how he could directly relate to the research findings we were presenting. This powerful moment was followed by a few others, including multiple audience members approaching us after our presentation to share their personal cancer anecdotes. We were moved by this level of audience engagement, and, of course, thrilled that our content had transcended professional relevance to make personal connections with people who had themselves experienced cancer. What follows is a summation of some of the more salient points from our presentation. Information sources proliferate. Think about it: there is so much available, both online and offline, from government agencies, manufacturers, pharmacy services, health plans, hospitals, cancer centers, non-profit organizations, clinical trial recruitment, advocacy groups, support services, and even social media. As such, healthcare has become an everyday conversation. And this includes the once taboo c-word, cancer. Can you remember a time when you would hear a friend or family member whisper that someone has cancer? Now, you hear people talk about it openly at home, at work, and even at the local market or Starbucks. The Mighty is a social media platform where consumers create message boards and share content. Within the platform, there are about 40,000 people following the broader topic of cancer today, with about 50 separate cancer communities. This demonstrates exactly what we were saying—people are no longer afraid to talk about cancer. Patients and care partners seek out these communities for emotional support, education, information, and often for some much needed self-expression. In 1996, when DTC advertising began with blockbuster drugs like Lipitor and Claritin, there was a total spend of $555 million behind prescription medications. It was a market dominated by allergy, cholesterol, migraine, and dermatology treatments. At that time, and even just a few years ago, DTC about cancer treatments wasn’t a thought. However, DTC today reflects a different mix for a different time. Every time you turn on the TV, there’s a good likelihood you’ll see a DTC ad focused on a cancer treatment. This includes some great work from brands like Ibrance, Keytruda, Neulasta, and Opdivo. Not surprisingly, $504 million was spent on oncology DTC in 2017 alone. Yes, that is close to the whole DTC spend across all categories back in 1996. And the cancer conversation is not limited to just advertising. Cancer has become a topic in mass media and news environments as well. From Robin Roberts’ very public cancer journey on TV, Time Magazine’s cover pages on how to cure cancer, and even US News and World Report ranking the top cancer hospitals in 2017-18, there is no shortage of daily headlines about cancer. Talking about cancer is no longer taboo. Consumer expectations of cancer have changed. For example, there is now an understanding and expectation that—in many cases—you will survive a cancer diagnosis. In addition, treatments can go on for an extended period of time. The information age has helped to drive shared decision making. There’s an increased level of patient involvement in the physical treatment. In fact, from targeted oral therapies to patches, some patients can now engage in chemotherapy at home. There is increased competition and “noise” in the cancer space, from the proliferation of treatment options, to discussions of rising healthcare costs, and the rise in the number of interested and invested parties (i.e., health systems, advocacy, etc.). Yet, despite all of these changes, people still lack a voice when it comes to cancer conversations with their oncologists. With our 20 years of experience in ethnographic in-office dialogue research, we have recorded well over 4,000 visits, with over 400 in oncology. That, combined with the over 800 post-visit interviews with oncology patients and their oncologists separately, has provided us with a real-world view of these poor communication interactions. During our presentation, we shared two video clips of interactions between oncology patients and their oncologists. Unfortunately, one can’t really call them conversations, as they are completely dominated by the oncologists. These videos helped to demonstrate some of what the patient has to deal with. The visits are wrought with emotion, and the oncologist not only dominates the interaction, but throws out medical jargon and technical terminology that even the brighter than average patient cannot understand. To help us gain a better understanding, we conducted an online survey with our WPP partners at Lightspeed, and reached out to 100 people ages 18-65 who are either going through cancer treatment or have completed cancer treatment. We focused the survey mostly on people who had been diagnosed with breast cancer, lung cancer, or melanoma, as many of the DTC ads out today are focused on these topics; however, other cancer types were also included. We learned that DTC contributes to a more level playing field. Seeing a DTC ad helps cancer patients become more comfortable and educated. It also supplements the research they are already doing, and provides a comfort level. Over half of the respondents replied that they agree, or strongly agree that seeing a pharmaceutical ad for a cancer treatment reminds them that they’re not alone. Our research also demonstrated that DTC supports a more common, better understood language about cancer. It helps provide patients with information in their own language. It also helps to identify that there are choices available so they can balance what they’re being told by their oncologists. In addition, DTC helps improve overall feelings of trust for cancer patients. Those we surveyed told us they feel more informed, more comfortable with medical conversations, and less alone as a result of exposure to DTC advertising. Trust is a topic that was of particular interest to us, so we dug deeper into this data. We found 84% of our survey respondents said they are extremely or very likely to trust their oncologist. And while pharmaceutical companies ranked the lowest when patients were asked about trusted sources of cancer treatment information, they did report that DTC advertising itself improves their trust in the specific product or brand that was advertised. Regardless, it was not a surprise when 93% of patients surveyed said they have not asked for an oncology treatment by name. This is a consistent finding with our ethnographic research experiences across other categories. What does the future of oncology DTC look like? We must continue to tap into and align with cultural values. We should look to be even more informative and balanced, not less. We need to find ways to connect with patients on their terms. As DTC marketers, there is an incredible opportunity in front of us to help fuel an evolving and improved two-way conversation. While patients will continue to look to and trust their oncologists and the cancer community for expertise and guidance, DTC can also continue to stimulate patient awareness and understanding, provide an often needed feeling of inclusion and support, and, thereby, support a more level playing field. 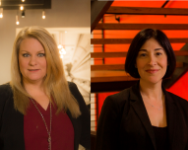 If you have questions or clients who you feel would benefit from knowing more, please reach out to Catherine Goss or Ashli Sherman. 1 – Manhattan Research, Google Consumer Study 2015 among online patients. 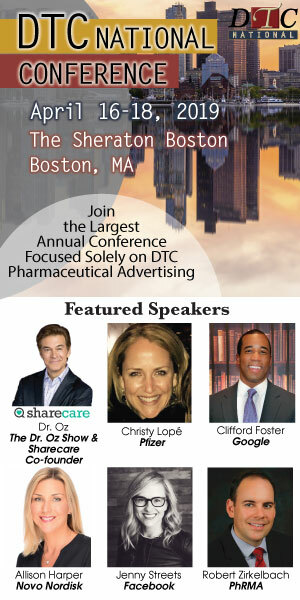 Catherine Goss currently serves as SVP, Managing Director with Ogilvy CommonHealth Worldwide. She is an enthusiastic senior marketer known for her ability to solve strategic problems and lead cross-functional teams. Catherine possesses extensive traditional and digital advertising experience, as well as multidisciplinary management skills across mobile, CRM, experiential and PR. She’s built brands across multiple categories including mental health, CNS, cardiovascular, dermatology, and women’s health. She has both launch experience (Crestor) as well as experience repositioning and reinvigorating mature brands (Deplin, Metanx, CerefolinNAC, NuvaRing, Elidel). In addition to healthcare, Catherine has deep experience across a range of consumer categories including CPG, tourism, financial services, retail, government and nonprofits. She has a proven track record of delivering business results and has been recognized as one of New Jersey’s “Forty Under 40” as well as a 2016 “Rising Star” by the Healthcare Businesswomen’s Association. She can be reached at catherine.goss@ogilvy.com or (973) 352-4264. As VP, Client Services, Ashli oversees the Behavioral Insights team at Ogilvy CommonHealth. She has 20 years of agency account management and operations experience. She has spent over a decade with the Behavioral Insights team working with sociolinguists and other devoted team members focusing on healthcare dialogue and ethnographic research across a vast number of pharmaceutical categories. Ashli has in-depth knowledge of HIPAA compliance and Investigational Review Board regulation and makes sure our research meets all necessary requirements. She can be contacted via ashli.sherman@ogilvy.com or (973) 352-2186.